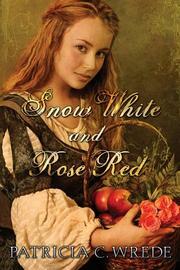 Another in the series (various contributing authors) retelling classic fairy tales. No prizes for guessing which one this is--but forget Disney and all those cute dwarfs. Wrede moves the familiar story of the two sisters who befriend an enchanted prince out of the German forests where the Brothers Grimm located it and into the London suburbs of Elizabethan England. The fairy godmother becomes the widow (and good witch) Arden; her daughters Blanche and Rosamund are the princesses. John and Hugh, the princely brothers, are sons of the Queen of Faerie and Thomas the Rhymer (the latter a well-known figure in Scottish folklore). The villains of the piece are the sorcerers John Dee (in real life, astrologer to Queen Elizabeth) and Ned Kelly (the famous Australian outlaw who built himself a bulletproof suit of armor), whose ambitions to seize the magic power of Faerie result in Hugh's being transformed into a bear. John and the sisters, then, must seek a way to restore Hugh to human form and curb the sorceries of Dee and Kelly. A subplot involves a palace revolution in Faeries itself. You know how it all turns out. Wrede (Caught in Crystal, paperback, etc.) shows solid craftsmanship throughout and good judgment in avoiding Elizabethan excesses or Disneyesque mawkishness. Nonetheless, those disposed to ask awkward questions will wonder why she (or anybody else) should bother in the first place.